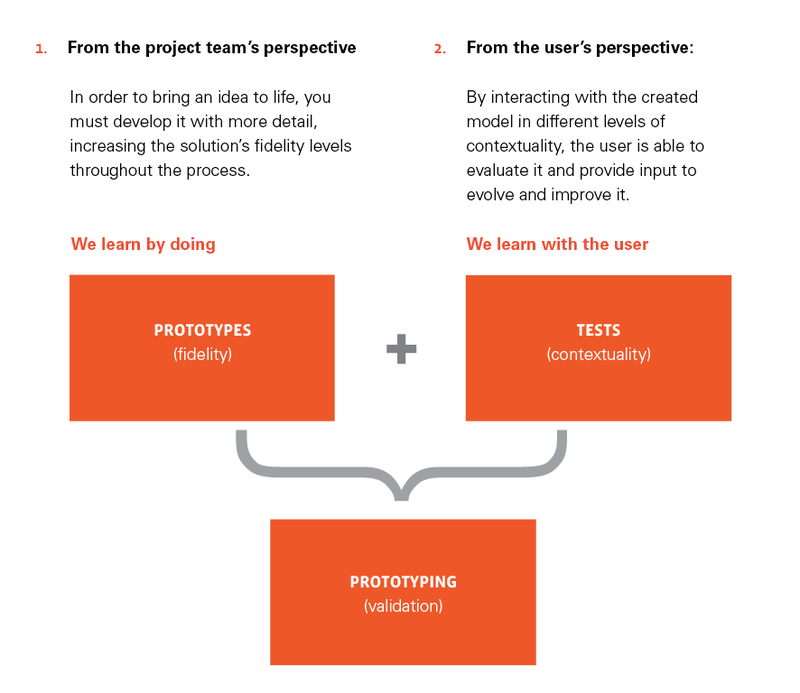 Why is the prototype so important for any innovation Project? In today’s article, we will approach a key stage of the process: Prototyping. In this stage, recently created solutions are made tangible, tested and verified in practice. The focus is to test quickly to make mistakes quickly, at a low cost; thus, it’s possible to quickly understand the users’ vision of a specific product or service. As we discussed previously, Prototyping is an inherent part of Design Thinking. At MJV’s Innovation Workshops, better known as the DT Experience, multidisciplinary groups have the opportunity to create prototypes in several different formats: paper schemes, storyboards, mockups, role playing, among others. 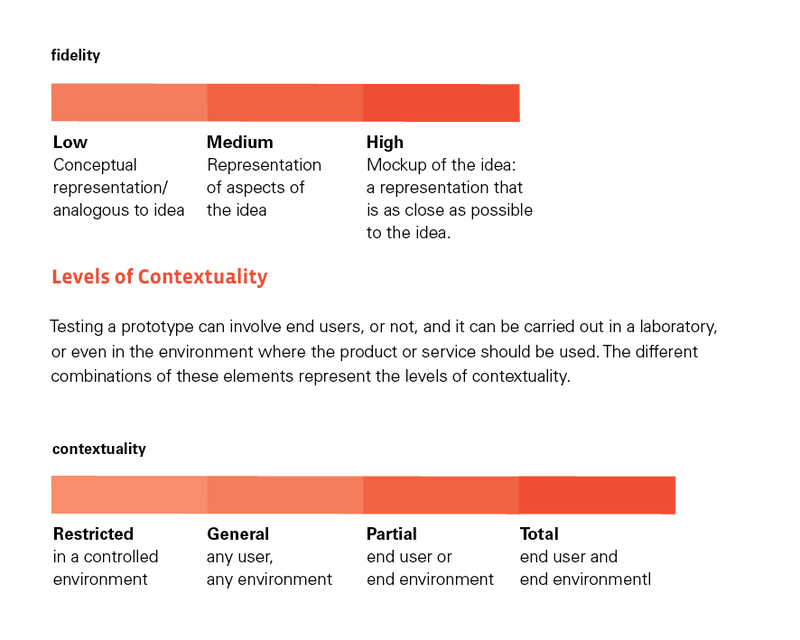 Creating these representation models allows you to demonstrate how a product or service should work in practice and validate hypotheses with the users. By creating this demonstration, the team is able to make ideas clearer and narrow them down through a continuous exchange of insights brought by the Immersion and Ideation stages. It is crucial to provide the right tools to prototype ideas. Simple materials, such as post-its, modelling clay, legos, stationery and crafts items – such as colored pens and pencils – are just a few items that can stimulate creative behavior and encourage people to “get their hands dirty“. A prototype can be a conceptual or corresponding representation of the solution (low conformity), aspects of the idea, or even the creation of something as close as possible to the final solution (high conformity). The nature of the actual prototypes varies greatly depending on the company’s market segment and the type of solution to be evaluated. It can be either a graphic interface prototype – like APP screens for mobile phones – or, to give an example of a product, a bank ATM. Or even a service, simulating airfare purchase experience from the perspective of a C/D class traveler. 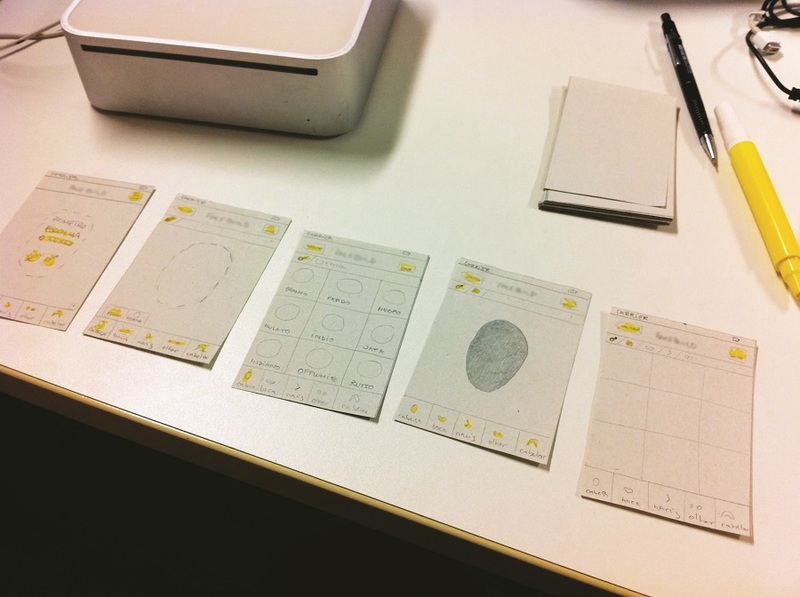 In order to create an iPhone version of a police sketch software, several prototypes had to be created. The team of designers and developers received paper sheets with the same format and size of a mobile phone’s screen along with pencils, erasers and marker pens. After the initial stage where they tested the software mechanics for computers and the limitations and characteristics of a graphics interface for a native iPhone app, each person on the team began designing screen wireframes, as well as the navigation flow. With a large number of alternatives generated, each participant made a presentation to the team, exposing their ideas and solutions. Thus, it was possible to merge the best solutions and incorporate different ideas in two distinct paths. Then, we designed a protocol with different problems and tasks that had been validated through several meetings with iPhone users who had several different profiles. After testing a few improvements for the originally created wireframes and navigation flow, we reached a final and more assertive solution, which was then graphically detailed by the designers and implemented by the developers. We discuss the main stages of Design Thinking at MJV’s Blog. What about you? Do you understand the role of this methodology?